Warehouses across the country rely on the help of a warehouse material handler to keep the shelves stocked, select products to be shipped, and package products. Sometimes these individuals also put the packages on the delivery truck. Warehouse material handlers play a vital role in the supply chain process, helping to fulfill orders. 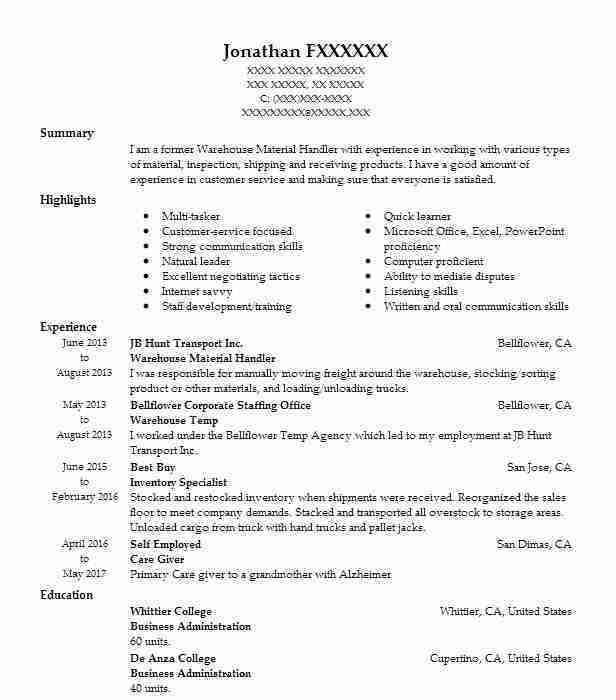 To secure a job in this capacity, it is important to create a resume objective that catches the attention of the hiring manager. When you write your resume objective for this position, make sure to highlight the key reasons you would be successful in this role. The best objectives include past experience, background information, personality traits, and details about any career aspirations. Your objective should also be straightforward, making it obvious that you are the best person for the job. 1. 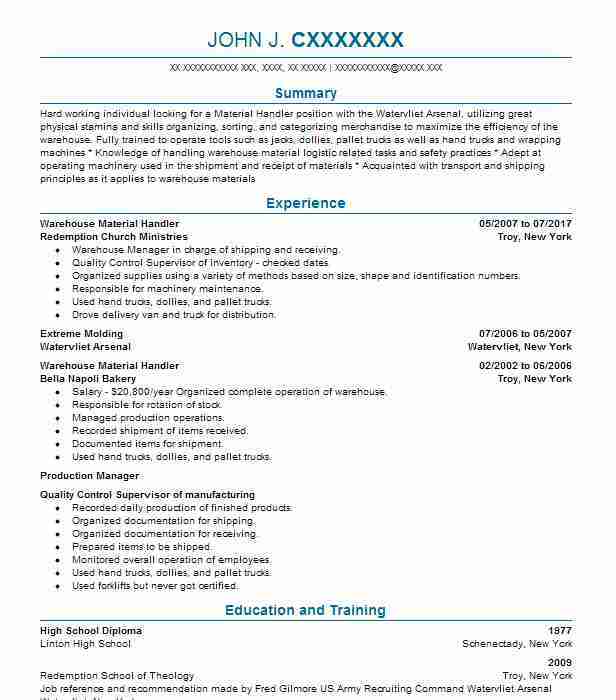 High school grad seeks a position as a Warehouse Material Handler with ABC company to use task management abilities, detail oriented personality, and reliability. 2. 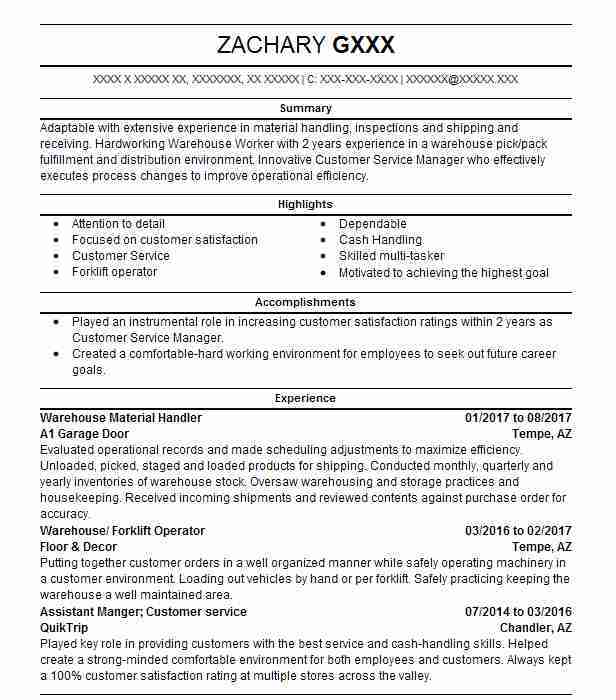 Obtain a job with ABC company as a Warehouse Material Handler to utilize previous warehouse experience, hard work ethic, and focused personality. 3. Seeks a Warehouse Material Handler position with ABC company to gain warehouse experience, work as a team player, and ensure that orders are fulfilled on a timely basis. 4. 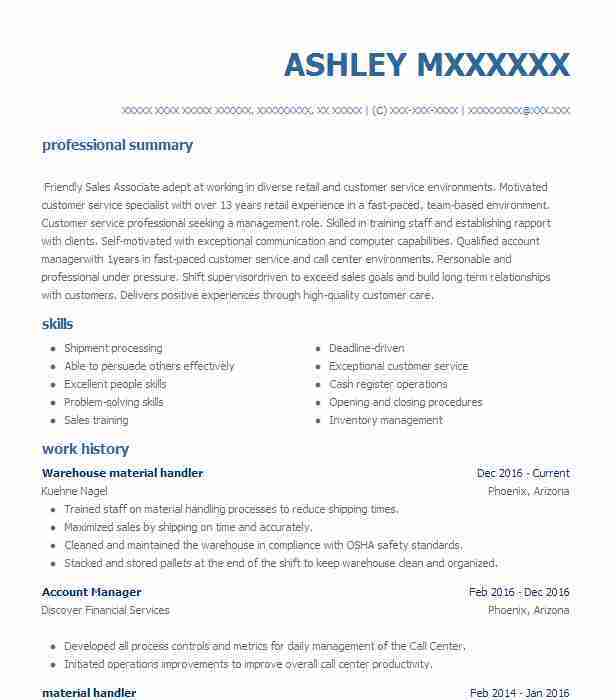 Looking for employment with ABC company as a Warehouse Material Handler to use previous experience stocking products and to transfer to a full time role in a warehouse. 5. Committed and focused individual with strong attention to detail seeks a job with ABC company as a Warehouse Material Handler. 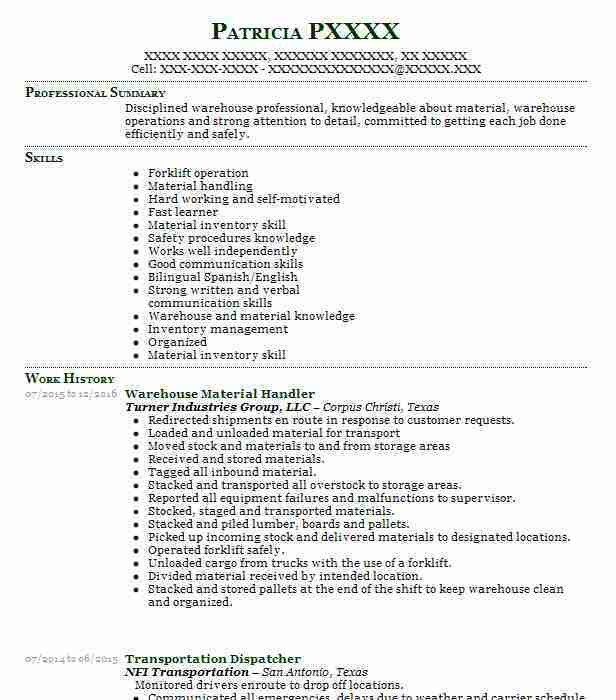 Warehouse Material Handler @ JB Hunt Transport Inc.